The Liquid Image EGO is a mountable Full HD Sports Camera that is also Wi-Fi enabled to work with Android and IOS iPhone platforms through downloadable Apps. 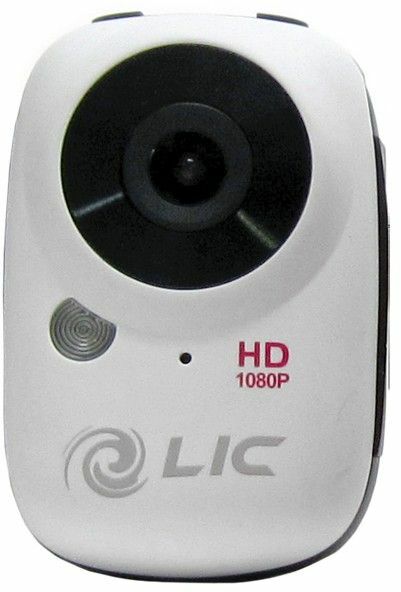 The camera contains a 136 degree wide angle lens to capture the action on the go and can transmit live view and playback to handheld devices. The Ego can also be controlled by the smartphone for on/off/recording features as well as to change of settings on the camera. The hands free unit has a 12.0MP (4000 x 3000) still images camera mode and a video mode that records HD1080P Video (1920x1080) at a rate up to 30 frames per second as well as the High Action mode of HD720P video (1280x720) at a rate up to 60 frames per second. The Ego features a continuous shot photo mode and can hold a Micro SDHC Card up to 32 GB to record thousands of photos or hours of HD video. The product includes a tripod mount as well as a multi-directional Flat Mount, 1 extra adhesive pad, Protective Face Plate, USB Cable, and an internal 1050mAh rechargeable battery. The battery can record approximately 1.5-2 hours of video and be recharged through the USB cable. Files may be downloaded to a computer through the High Speed USB cable or through a Micro SDHC card. The MicroSDHC Card Required is a 8GB Class 6 MicroSD card (card sold separately). The approximate video recording time for both the 1080P Full HD at 30fps and 720P HD at 60fps on a 8GB card is 89 minutes.